Last Day on Earth: Survival puts you in right in the middle of the world that is about to devastate. The world has been hit by a virus called the deadly plague infection. The wide-spread virus killed almost 80% of the population. This wave of chemicals is wiping off the human beings and every other living being on the planet earth. During this process, a new disease took birth which started turning the dying people into zombies. The planet started turning into a house for the walking dead. These zombies are now a great threat to the little mankind that somehow survived through the chaos caused by the deadly plague infection. The game will teach you how to survive when the world is on the brink of finishing. There are wild animals all around you. There are deadly creatures that will try their best to kill you. Craft the items necessary for your everyday use. Make the most efficient use of the only few available resources. Join hands with other survivors to form a team and work in collaboration to get out of the situation. Last Day on Earth Survival offers stunning HD graphics. The game’s popularity is a proof of its enchanting gameplay. It comes for free in the Play Store for Android. Users are willing to get it on their computers as well and that’s why we have this post. You can play Last Day on Earth Survival for PC on Windows 7, Windows 8, Windows 8.1, Windows 10, MacOS and OS X powered desktop PCs and Laptops. 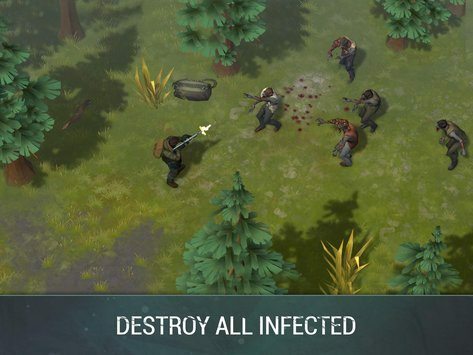 To start playing Last Day on Earth Survival for PC, get an Android emulator like the BlueStacks or BlueStacks 2 on your computer. Follow the easy-peasy steps listed below to start a new adventure saving yourself from the wildest zombies now. Once you’ve installed Bluestacks, double click the downloaded Last Day on Earth Survival APK. The APK will be installed using Bluestacks, once installed open Bluestacks and locate the recently installed Last Day on Earth Survival. Click the Last Day on Earth Survival icon to open it, follow the on-screen instructions to play it. You can also use Andy OS or Remix OS to install Apps for PC such as Last Day on Earth Survival, here’s the tutorial: How To Run Android Apps On Mac OS X With Andy | How to launch Remix OS for PC and install Apps for PC via Remix OS. The Andy OS and Remix OS tutorial explains how to play a game on your Mac OS X, but the same guide will also work for a Windows PC. That’s all. In case you’re stuck with anything, reach us out through the comment box below.